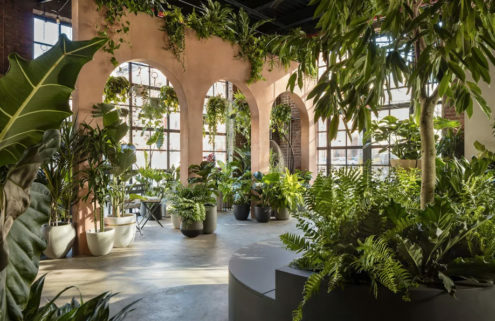 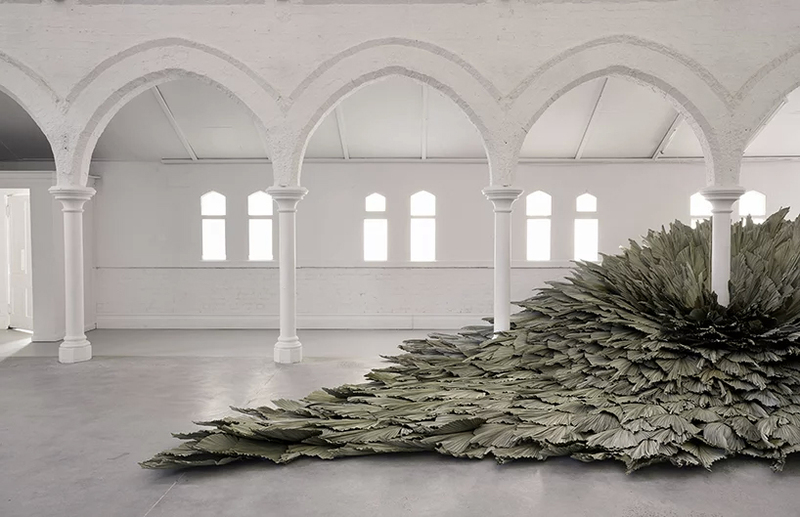 The indoor greenery trend has hit the next level at this Melbourne photo studio, where an installation of huge spiky leaves has taken over the building. 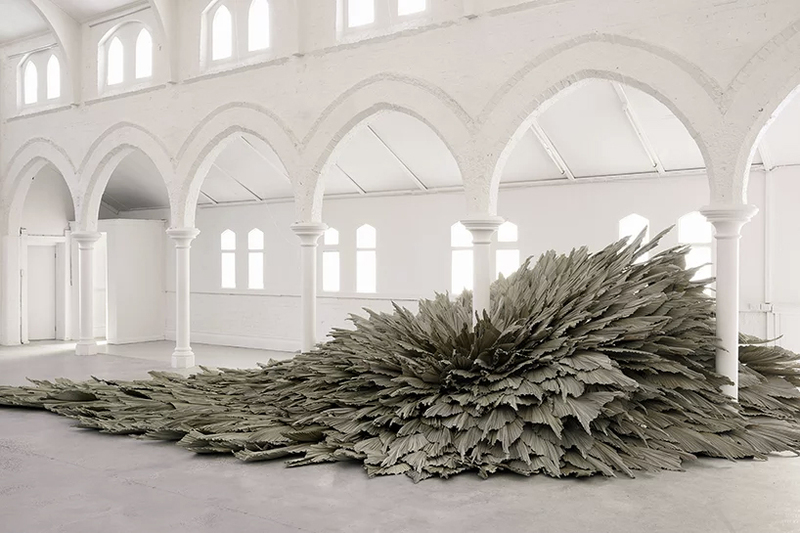 The appropriately named Loose Leaf Studio designed the piece, which has sprung up around the columns of what was once a church hall in the city’s Fitzroy neighbourhood. 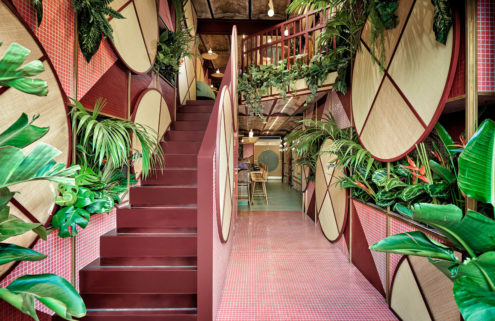 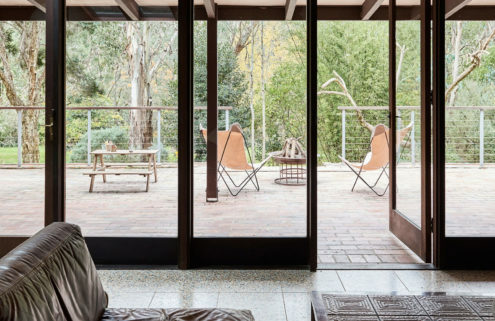 It’s in stark contrast with the surrounding whitewashed walls of The Establishment Studios and is reminiscent of abandoned buildings that become overrun with vines and greenery. 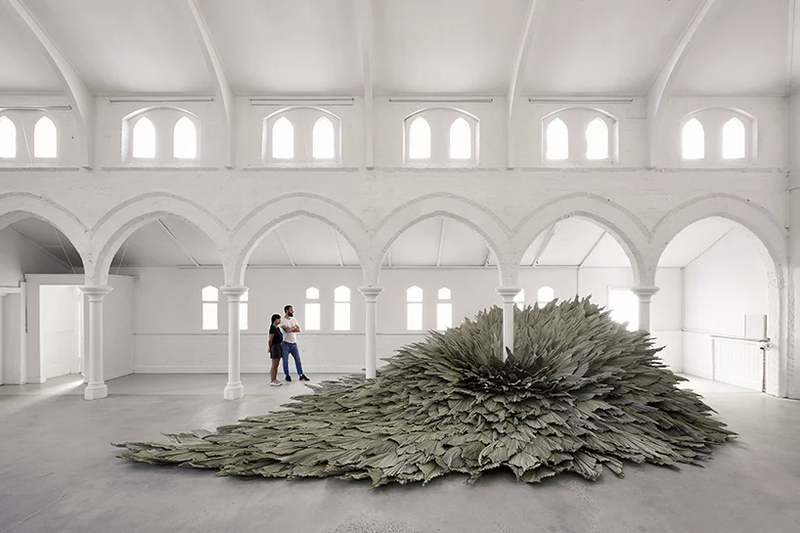 The piece, named Proximity, is the latest in a line of botanical installations by Loose Leaf Studio, which often places sculptural bundles of plants and greenery in incongruous or unexpected spaces.